Founding Gardeners: The Revolutionary Generations, Nature, and the Shaping of the American Nation by Andrea Wulf is a delightful day spent in the flower and vegetable beds, garden, and yard–no not yours, theirs. Before your next planting of trees and shrubs, before your next visit to Mount Vernon, Monticello, Montpelier, Peacefield, or the White House, please read this book. You will enjoy the historical sites in ways you have not in the past because you now know how the Founding Fathers felt and thought of their landscapes. You will look at your own landscape, large or small, with a renewed interest in making it uniquely yours and American in a new-old sense. George Washington, Thomas Jefferson, John Adams, and James Madison were all farmers who worked for productivity, beauty, and conservation. They never stopped experimenting and improving their land. They never stopped educating themselves, and were personally dismayed at the wasting practices and disregard for conservation of their fellow American farmers. They collected and knew well all the latest farming, plant, and garden design books published in England and France. Wherever they were, they inspected and noted what night be useful to them and to other farmers. They shared plants and seeds with friends and correspondents across America and all over the world. When Jefferson sent Lewis and Clark to survey the New West, plants, seeds, and notations on soils were very high on their list of responsibilities. John Bartram, the great American naturalist, should be listed among the Founding Fathers for his significant role in identifying American species and making them available not only in the colonies and to the other Founding Fathers, but to the English aristocracy who feverishly planted and designed their great estates around native American species. American species were the rage. The love for green America grows in fertile soil, sunlight, and shade in Wulf’s account of our revolutionary period. You should expect to pick up new ideas and inspiration from the book. After 447 years why would any author think he had something new to say about Michelangelo, an extremely difficult topic even without fighting a massive headwind of scholarship? The answer is, when you have something fresh to write. 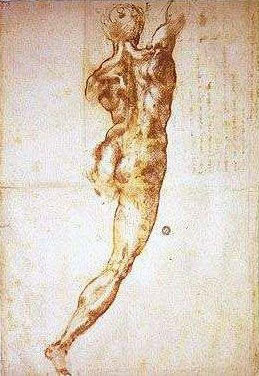 Leonard Barkan treats the mystifying sheets combining drawing and words as essentially a unique form of art in Michelangelo: A Life On Paper. Those combinations offer a chance to watch the genius work through thoughts and feelings for which words and drawings often seemed inadequate unless combined in a new code. Words and drawings shared DNA with only minimal barrier. Private and public communication mingled over time making such distinction unimportant. It must have been maddening for the studio assistants to observe and yet not understand the processes of his mind and hand. It is any wonder that the assistants appeared inadequate and blundering beside the master. They were locked out and the master’s key was hidden within him. The Mary E. Shaner Scholarships for 2011 were recently awarded; and they went to Katie Kohlenberg who plans to attend Clarion University, Bryan Botts who plans to attend Clarion University, and James Gillen who plans to attend Penn State Erie, The Behrend College. 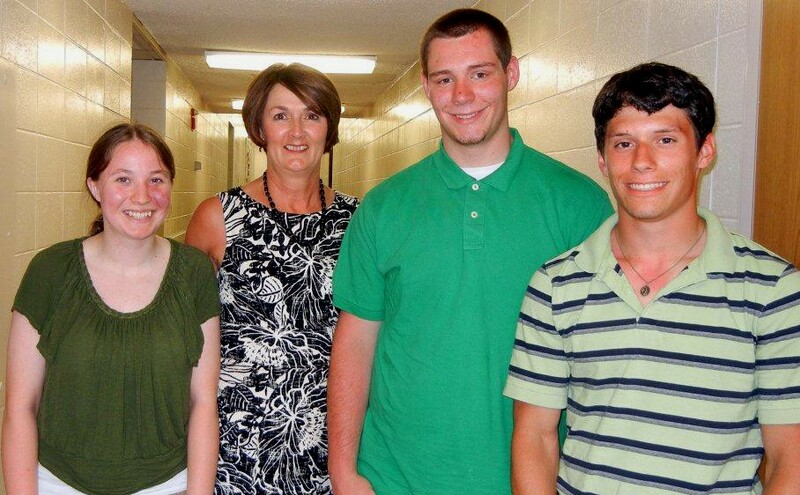 In the photograph, from left to right, are Katie Kohlenberg, KHS Principal Vicky Walters, Bryan Botts, and James Gillen. London’s first purpose-built theatre was a 1576 open affair rather like a stockade, and was known as The Theatre in Shoreditch. The Theatre was dismantled and stolen one night in 1598, taken across the Tames and used in the construction of the first Globe Theatre. Admission to the theatre was collected by door keepers, and then inside gatherers collected for seats in the gallery. Their ticket management was simple. 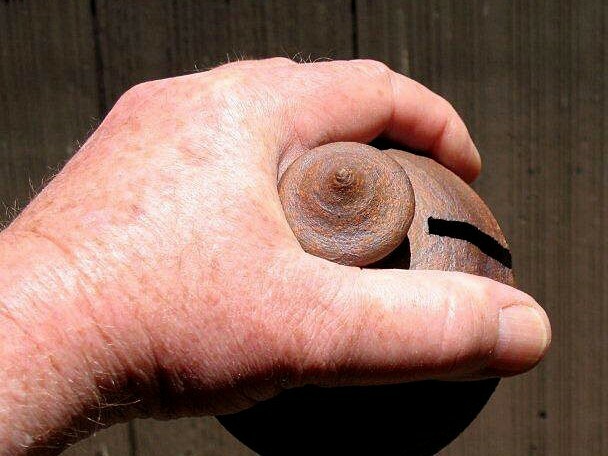 To attend, a person dropped a jetton or German token, valued at a penny, more or less, into a money box. In time the money boxes became known as theatre boxes, stored in the box office. The boxes, round not square, were earthernware closed containers with a knob on the top for a firm grip and a slit on the side for paying admission. They kept the door keepers, gatherers, and pickpockets honest. They were easy to keep in a firm grip, and hard to shake a coin out. The boxes were smashed open when the take for the performance was counted. Surviving theatre money boxes are very rare but shards are more plentiful. The Museum of London has a few, one of which we used for our reproductions. The originals were typically 10-15cm tall, round, and glazed in brown or green. They were “whiteware” earthenware made from sandy clay mined in Surrey and along the Surrey-Hampshire border area. Our stoneware reproductions match the form and size but of course we could not reproduce the patina of the originals. To suggest age, we gave an iron wash instead of the bright green glaze typical of the period. The originals were most likely thrown “from the hump” on a kick wheel with a production goal fo 100 to 200 per day for each potter. Because a lot of energy would have been wasted stopping and starting the manual throwing wheel if each box was thrown from a single ball, a large hump of clay would be put on the wheel. Once the wheel was turning, the potter would have sat there throwing, cutting, and setting aside boxes until the hump was used up. Cheap labor and boxes made the job grueling and relentless. There were no excuses. The Barnet, Vermont, potter Norma St Germain has agreed to make a limited edition of 30 theatre money boxes for a fundraising project in support of the Clarion County Community Foundation. For more of her wonderful pottery, stop in at the Northeast Kingdom Artisans Guild in St. Johnsbury. Looking back at wars, especially ones on our land and revered in history, it seems that each could have been avoided and was in a hypothetical sense unnecessary. Ours is, however, not a hypothetical world, but rather is one we manage badly. Our glorious Revolutionary War and its aftershock, the War of 1812, was two wars in one simultaneously, without even considering the aftershock. It was a revolt against the grossly misconceptualized and ineptly managed British colonial empire, and that alone would make it paramount in our history, but it was also a very bloody civil war. It pitched North Americans against North Americans, Tories against Whigs, loyalists against patriots, Native Americans against Native Americans, slaves and freedmen against fellow Americans. It was a bloody mess. Maya Jasanoff, author of Liberty’s Exiles: American Loyalists in the Revolutionary World, writes it, “seems safe to estimate the total loyalist emigration from revolutionary America at 60,000 individuals,” and, “to conclude that loyalists carried some 15,000 slaves out.” Our spirit of 1776 became the spirit of 1783 for British North America, which in the very long view was good for both the United States and Canada as well as the growing British empire; but in the short view it was misery for most of the new emigrants. Broken promises, frustrated expectations, unfamiliar and hostile environments, and insufficient necessities were the bread and water for most involved in the diaspora. The irony is that the views on liberties, citizen rights, and self-governance between loyalists and patriots would require the splitting of a hair. Jasanoff follows the diaspora from the colonies to the Maritimes–Nova Scotia and New Brunswick, Quebec, East Florida, Britain, Bahamas, Jamaica, Sierra Leone, and India. Our loss of citizens from evacuation fed the British empire. 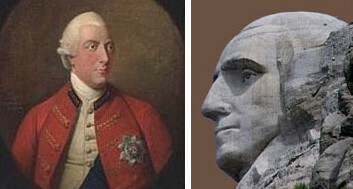 It was a very high price for the colonies to pay for victory. 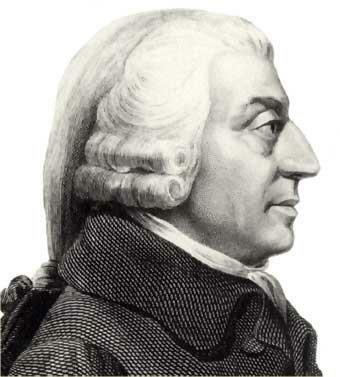 The proponents of laissez-faire and trickle-down economics have picked the last remaining flesh off of Adam Smith and left his bones to eventually crumble into dust. If he was alive today he would be anguished at the abusive use of ideas from An Inquiry into the Nature and Causes of the Wealth of Nations. He would also grieve the total lack of interest in The Theory of Moral Sentiments. Adam Smith: An Enlightened Life is a new, refreshing biography of Smith by Nicholas Phillipson. He deserves a new biography even if no one is likely to follow his “science of man” concept, so central to his thinking and that of David Hume. To understand the Scottish Enlightenment you must first become acquainted with Smith, and this book provides insights his closest friends may not have understood. Although his ideas seem to best fit his time and place rather than universal application, it would have been interesting to watch him slug his way through our recent financial meltdown. He was highly principled, politically pragmatic, economically insightful, and adverse to greed.